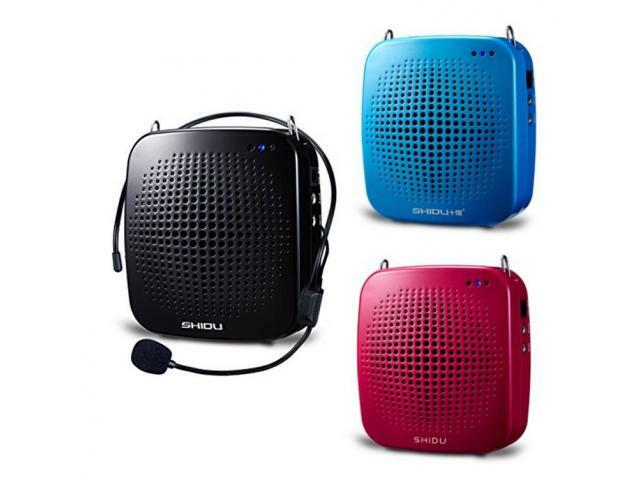 A great companion for any speaker, tour guide or teacher! 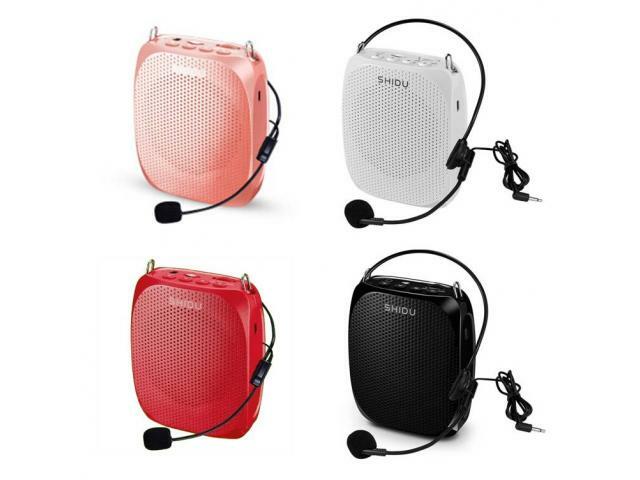 This portable loudspeaker can be used as a voice amplifier as well as a speaker for your laptop or mobile devices. The powerful speaker will produce sound at 180db and can be used in rooms up to 2000 square meters. What's in the box: - Amplifier - Instruction manual - Microphone - Waistband belt (to secure around waist or hang on your shoulder) - USB charger cable - Audio cable Specifications: Battery: 1800mA lithium ion Working time: 10 - 15 hours Weight: 218g Dimension: 9.8cm x 8.8cm x 4.5cm Charging:You may plug the usb charger cable into your laptop, power bank or any mobile phone / tablet usb plug adapter.